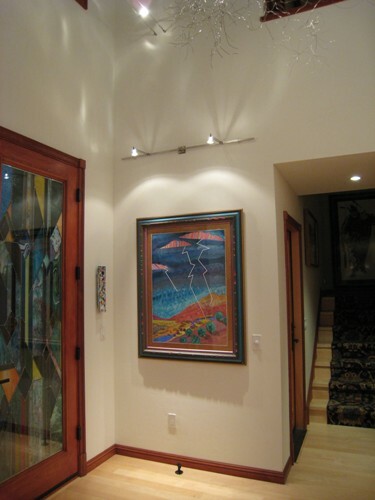 The Foyer in this residence reflects the love of art and color the homeowners have; because their style lends itself to a contemporary feel, we used a variety of low voltage wall mounted rail systems and overhead cable/wire systems to illuminate the mix of artwork on the walls and a central hanging twisted thin metal art sculpture; any avid museum goer would be impressed with this space! 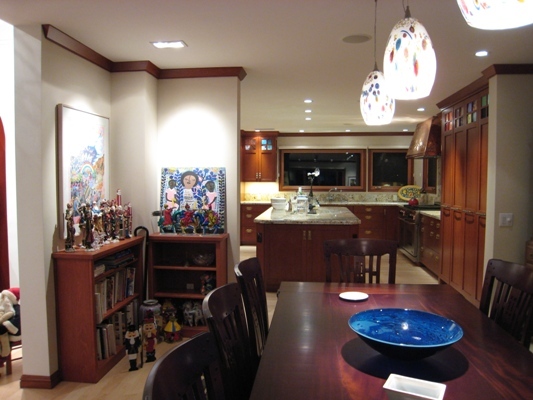 Because we have a variety of light sources in this space as well as the exterior of this residence, we used a mini lighting control system (Lutron Grafic Eye: seen on the left side of the entry door) to access the required 6 switch legs of lighting from a simple button press, in-lieu of a bank of 6 individual switches; this makes the space clean and sleek while providing complete control of all the lighting. 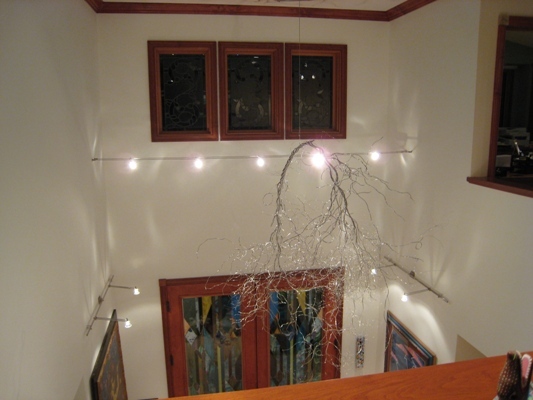 This shows the low voltage cable/wire system that we used to illuminate the central hanging art as well as providing general lighting. 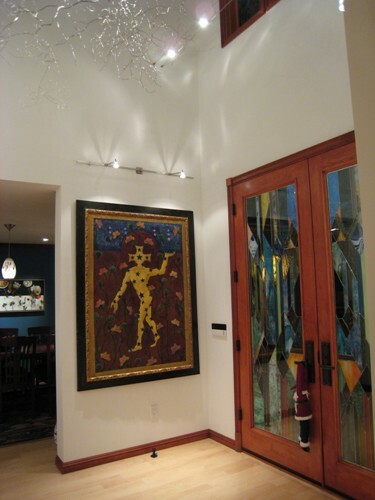 In the Stairway we used a wall mounted rail system to illuminate the artwork, keeping consistant with the style that was established in the Foyer with the use of lighting systems. If you look closely you can see a little bit of the ceiling, which is a handpainted mural of the "sky" peaking out of the "crumbling" ceiling. 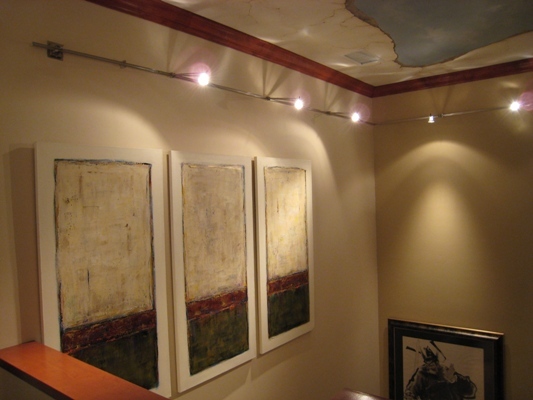 In the corner of the Dining Room we used a square two light recessed light fixture to illuminate two walls at one time from one location, which kept the ceiling clean of multiple fixtures.